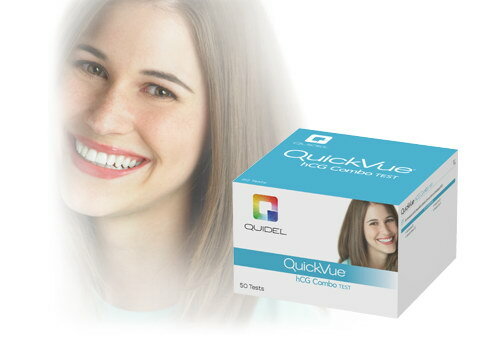 Quidel Corporation QuickVue One-Step hCG Combo, 50/BX. 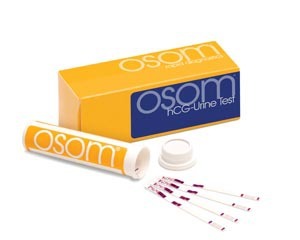 The QuickVue One-Step hCG Combo test is a sensitive immunoassay for the qualitative detection of human chorionic gonadotropin (hCG) in serum or urine for the early detection of pregnancy. 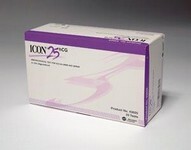 The QuickVue One-Step hCG Combo has 25 mIU/mL sensitivity. 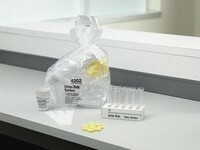 CLIA waived for urine / Moderately Complex for Serum.